"Within me exists anger, sadness, and happiness... They shall all be my power, and my blade." Appearance: Selena wears a blue dress with an iron chestplate. Her hair and eyes are bluw. Healing Magic: Using the power of water she can heal wounds with ease. God Slaying Power: Like the other five heroes, her power rivals that of the Gods themselves. Quick Speed: She is rather fast. Background: A swordswoman from the Sama Kingdom. Born from a line of chiefs of the wandering sea people of Savat, she was raised in traditional long sword techniques. And at the age of 14 her skills stood out so much that she was offered the treasured sword Lexida however she refused it during that time. But at the age of 18 she folded to the pressure around her and took up the treasured sword Lexida as proof of her chiefdom. During her cheifhood, a civil war broke out in the Sama Kingdom, she aided the king and as chief of the Savat people, led them to many military victories. However rumors said she was looking for a way to quit. During the great war, the war og the Gods and Humans. She refused Sama Kingdom's call and led the Savat people to save the masses that were trying to escape the war. She was soon known as one of the six heroes of the war. However the Savat people she led all lost their lives in the great war. As the last one standing, she tried to end her life, but a voice from her sword Lexida halted her. It was the voices of her fallen countrymen. With her allies' souls in her sword, she fought with more strength and beauty than ever before. At the final days of the war, she was ambushed by a fanatic witch and her close friend lost her life saving her, she soon attained powers far beyond of the gods. However a knight appeared and she suffered a critical injury. 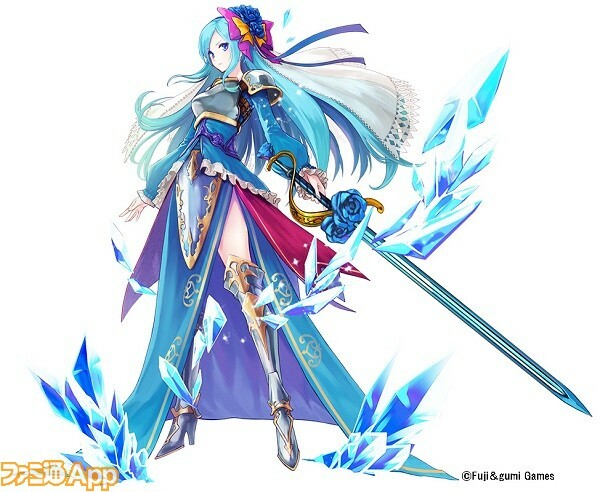 To this day not many people know her whereabouts compared to Vargas. "You have a poi-" he stoped talking because he sensed something very powerful nearby " I sense another source of demonic energy but it's much more angry and destructive than mine"
"A powerful demon nearby? Is it coming closer or is it nearby?" Selena asked. A demon this far out, this was Maxwell's domain so most demons usually avoid coming here. Whatever it was was either grave, or ready to fight anything. "Well this is troublesome...Unwated attention right on the start. We shall hold here then, if its coming for us then its best we deal with it now then have it follow us." Selena spoke as she unsheathed Lexida. "And I will not allow you to obtain more demonic energy. If you do I will eliminate you myself. I will destroy the demon and its essence. I still do not trust you. Especially since if yo ugain more power the more of a threat you will pose." Selena spoke as she stood around waiting for the demon to arrive. Herobrine "You know you won't stop me right?" "Do you want to test that theory? I know you never heard of me so its obvious, but compared to that man and a little of that fight I saw...compared to him, I would have not resorted to my ultimate attacks in order to keep up." Selena spoke as she looked at Herobrine in the eyes. "I make good with my threats, if you are my enemy I will kill you. Simple as that. I will not gloat about my past, I wish to leave that all behind. Now, will you just listen to what I say? Do not absorb the demons energy. I will send you to the Demon World so you wont be a bother to anyone, so until then listen to what I say." Herobrine " ok ok, I should have said this earlier, if something doesn't absorb a demon's demonic energy the demon will reappear, I just wanted to help"
Selena sighed. "I knew that. However we have already found out a way to permanently destroy a demon without having to absorb it. If we destroy them then use our magic to hit their essence we can put them down for good. The way you word your words can use some work. Now enough talk, you can tell how much closer it is. I can sense it, its fairly close but you have the honors of finding out how long until it reaches us." She spoke as she gave her sword a few practice strikes. Herobrine He stutters " it's right behind you and it's huge" fear runs through his body. Selena was about to sigh, however she relized how much she was sighing and decided against it. She channeled her energy in an instant and quickly turned around. "Divine Hail." She then unleashed the same move she had just used of Kira, sending a showever of ice shards at the demon quickly slipping backwards to get some distance to assess what the demon looked like, and what it was capable of. "As I said, I will kill you if you do. I wont have another threat to this world and I am not afraid to kill you now in order to do so. The people suffered enough, and I have gone through hardship to see this day. So just get to work and take it down." Selena warned once again as she dashed forward and with grace, delivered a spinning slash to the demons leg tearing a chunk off of it before backing off. Herobrine "Do you even know what I'm going to do with that power, I'm going to avenge my parents' deaths"
Herobrine He yells " tendril explosion " tendrils rocket out of his body and rapidly strike the demon and restraining it "he can't move anymore so finish him off and don't hit me"
Selena channels her magic over the demon as the ice shard in its body began to turn into ice particles and float above it. As they swirled in the air Selena began to glow a light blue as she spoke two words. "Blizzard Pain." And with that a wild blizzard swirled around the demon impaling it with thousands of ice shards. She simply allowed the demons essence to be slowly destroyed by the magic but turned to Herobrine. "Thanks for the help." She nodded before sheathing her sword. "As I said, I don't know anything about you. Or have much reason to trust you. You have assisted yes, but that was one demon out of thousands upon thousands. And those are not even the most powerful. But enough about that, for now Sending you home is not going to happen and leaving you to your own devices is not a good idea either...I hate to say...But you have to come to my...h-home..." She crossed her arms not enjoying this turn of events. Herobrine Sighs " it's not going to be fun for the both of us"
"Of course...I do not like having visitors let alone watching a guest...Come then, we have a long path ahead of us, first e pass through theses caves so prepare to face a bunch of monsters." Selena turned around and began to walk ahead. Inside the fire caverns, the heat was soon felt. Inside the cave there was lava flowing around and the inside felt warm. All around they could see small monters running around from fire slimes to even goblins. The caves were open and the exit was a fair bit away. However Selena was not even worried in the slightest. "We should be able to get to Sama within a day. The many mosnters are only threats to civilians or untrained soldiers." Selena spoke as she picked up a slime, gave it a small pat before pushing it away.